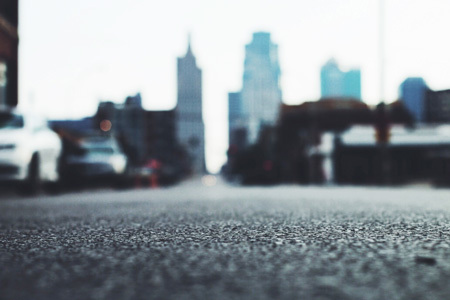 With a little help from AI (artificial intelligence) and IoT (the Internet of Things), Kansas City gives a lesson on UEA-MEP — utilizing existing assets to the maximum extent possible. 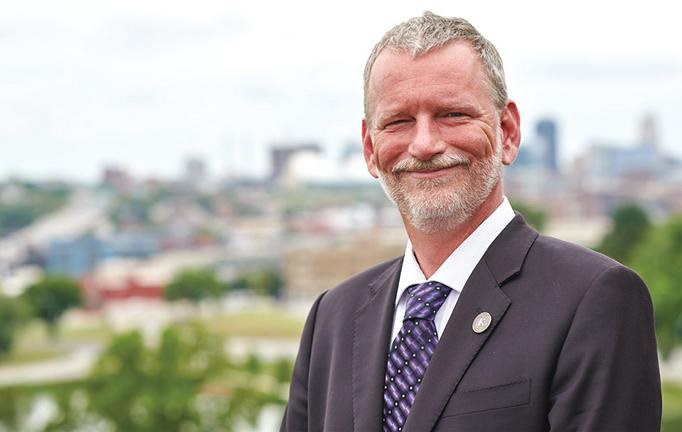 In 2016, Kansas City, MO, issued a charge to its local contracting community — a call to join Special Assistant City Manager Andy Shively in finding $1 billion in water and wastewater infrastructure savings. The intent of Kansas City’s Billion Dollar Smart Infrastructure Challenge, however, was not a mere reduction in capital expenditure — it was a task to leverage data and technology in order to deliver sustainable and cost-effective solutions that would ultimately help ease the burden on ratepayers. At the time the Billion Dollar Smart Infrastructure Challenge was issued, city leaders faced a planned, five-year, $1.78 billion-dollar water and wastewater infrastructure investment to maintain clean and reliable water services. This infrastructure need is driven in large part by the city’s 25-year, $4.5 billion-dollar federal consent decree which began in 2010. Since the onset of Kansas City’s Smart Sewer program to meet the requirements of the consent decree, the city calculates that customer wastewater rates have risen more than 290 percent while annual median household incomes have increased a mere 1 percent. Shively issued Kansas City’s Billion Dollar Smart Infrastructure Challenge at the city’s annual Capital Improvements Rollout in February of 2016 to a crowd of more than 250 local contractors and stakeholders, many of whom have come to expect his “outside of the box” infrastructure solutions. Yet, what was unexpected about the challenge issued by Shively was the response from the local contracting community. The search was on for innovative solutions that could address the largest infrastructure challenge in the city’s history — a $4.5 billion federal consent decree. First one, then another, then several more contractors came forth with pledges to do whatever it would take to find a billion dollars in cost-efficiencies for the city’s ratepayers. Each company presented a strong commitment, but one small enterprise stood out among the rest with a promise almost as “outside of the box” as Kansas City’s billion-dollar challenge — an idea that begged consideration that U.S. Department of Defense technology could be useful in preventing sewer overflows. The narrative begins in 2004, long before the Internet of Things (IoT) was even a “Thing.” At the time, the University of Notre Dame was leading a project funded by the Department of Defense to track terrorist activity in war zones. The technology was simple, yet effective. The university team had successfully designed a sensor network using a distributed control system to reliably and cost-effectively track enemy movements. The rest, as they say, is history. Funded through Indiana’s 21st Century grant program, the University of Notre Dame provided startup funding for EmNet and tapped Luis Montestruque as president and chief technology officer to work with researchers at the university to deploy the world’s first artificially intelligent sewer sensor network. As a result, South Bend, IN, became the testing grounds for the technology, which has since brought proprietary IoT technology-based solutions to 25 additional water and wastewater systems, including the City of Kansas City, MO. Let’s be clear: By the year 2016, Kansas City had already become North America’s biggest and most connected smart city and had simultaneously issued a Billion Dollar Smart Infrastructure Challenge to its local contractors. The search was on for innovative solutions that could address the largest infrastructure challenge in the city’s history — a $4.5 billion federal consent decree. To find one answer to this local challenge, Kansas City would have to dig deep — 8 feet deep to be exact. In fact, one of Kansas City’s smartest assets now lives within its 100-year-old sewer infrastructure. 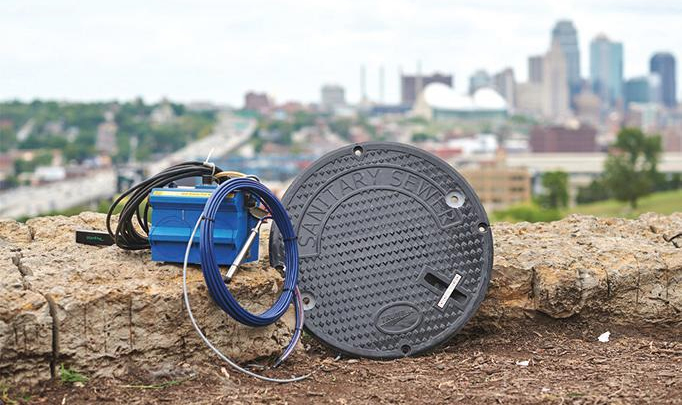 Kansas City’s Smart Sewer network consists of sensors attached to manhole covers to measure water flow and depth. The sensors measure water flows and levels at critical points throughout the city’s wastewater system. The sensor data is used to train an artificial intelligence (AI) system that then acts as the “brain” of the 100-year-old sewer system to predict how Kansas City’s sewer system will perform during various storm conditions. This same AI technology then uses National Oceanic and Atmospheric Administration (NOAA) forecasts to decide the optimal place to store or direct wastewater in Kansas City’s sewer system. This information is then electronically relayed to pump stations and in-line gates so that the sewer system can align itself, in real time, to optimize conveyance, storage, and treatment of incoming storm- and wastewater. Kansas City has successfully used AI technology to better understand and improve its hydraulic model — moving the model from 50 to 90 percent accuracy in just four short months. This technology might sound a bit Back to the Future to most of us — but sit down and imagine that this technology is actually telling Kansas City’s infrastructure leaders how to best use its existing century-old combined sewer system, which was purposefully designed by pioneers to handle both stormwater and wastewater flows. Kansas City has successfully used AI technology to better understand and improve its hydraulic model — moving the model from 50 percent accuracy to 90 percent accuracy in just four short months. Kansas City’s improved hydraulic model is anticipated to help the city achieve overflow capture and cost savings similar to those achieved in the original pilot city of South Bend, where 70 percent of the city’s overflow capture was achieved with just one-tenth of the city’s planned budget for controlling combined sewer overflows — and this is based on only initial results, which will only improve with time. Information about EmNet can be found online at www.emnet.net. Jennifer Rusch is a strategic marketing professional at Burns & McDonnell, specializing in communicating complex infrastructure programs in relatable and understandable ways. She lives and works in Kansas City, MO.